Here at Willoughby Hills Auto Repair, we offer a wide range of tires for your vehicle. Let our professionals help you find the right tires for your car. Improve your vehicle’s handling, increase tire life, and drive with safety by checking your tires every month to ensure that they are inflated with the right amount of air pressure. My name is Dan. My sedan tires wore out early and I had to replace them. What can I do to make my tires last longer? Tire rotation is also critical for Northeast Ohio car owners. Your front tires take the brunt of stopping and steering forces so they wear faster than the rear tires. They should be rotated regularly so that all four tires wear more evenly. 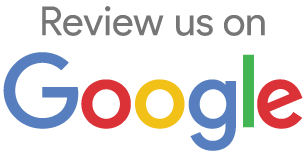 Talk to us at Willoughby Hills Auto Repair in Willoughby Hills. Out of balance wheels can also cause a tire to wear too fast. Willoughby Hills drivers who feel a vibration in their seat or steering wheel may have a wheel out of balance. Finally, bad wheel alignment and worn or damaged suspension can chew through a tire very quickly. Ask your caring Willoughby Hills Auto Repair tech to have your tires inspected for signs of premature wear. Your technician will be able to pinpoint the cause and get it taken care of. Today’s Willoughby Hills Auto Repair article focuses on the effect of tire tread depth on braking. When Willoughby Hills, Mayfield, Kirtland and Gates Mills drivers talk about stopping power, they tend to focus on their brakes. But our tires are where the rubber meets the road. We have to have tires with enough traction to translate braking power into stopping power. Let’s concentrate on stopping in wet Cuyahoga County and Lake County conditions. In order for a tire to have good contact with the road, it has to move the water out of the way. If it can’t move the water, the tire will actually ride on top of a thin film of water. That’s called hydroplaning and it is a factor in many Northeast Ohio auto accidents. If it’s really bad, you can actually spin out of control. At best, you won’t stop as fast. Your car and truck tires have channels for water to flow through. The deeper the channel, the more water it can move. A brand new tire has very deep channels and can easily move a lot of water. As the tire wears down, the channels become shallower and can move less water. When it wears down enough, it can seriously affect your ability to stop on wet Northeast Ohio roads. That’s why it’s so important for motorists living in communities such as Willoughby Hills, Kirtland, Mayfield and Mentor to replace their tires when they get worn. Consumer Reports and other advocate groups call for a standard of replacing tires when the tread is worn down to 4/32 of an inch. That’s 3.2 millimeters. By comparison, you’ve probably seen the wear indicator that’s molded into tires. When tires are worn to 3/32 of an inch, the tread wear bar is visible. And that little bit of additional tread makes a big difference. Stopping distances are cut dramatically on wet Willoughby Hills surface streets and the highways that run from Richmond Hts, through Mayfield, Willoughby and up through Mentor. A safe stop from Northeast Ohio freeway speeds with 4/32 of an inch of tread would result in a crash with worn out tires. If you have uneven tread wear – have us check it out at Willoughby Hills Auto Repair. It could be a problem with your steering or suspension components or a wheel alignment problem. If you need new tires or have any concerns about your brakes, give us a call today at 440-585-1691. There’s more to winter tires than Willoughby Ohio motorists may think. Those days of clunky, tractor-like snow tires are long gone in Northeast Ohio, replaced by high-tech winter tires with special rubber compounds and advanced tread designs. In Willoughby Hills winter temperatures, the rubber in summer tires becomes hard and inflexible and they don’t grip the road as well. In contrast, winter tires use special rubber compounds that are more pliable when the thermometer drops below 45 degrees in Ohio giving you better road contact; so even if you don’t get much snow, winter tires will really add to your cold weather safety in Willoughby Hills. Winter tires may also use a micro-pore rubber compound that increases surface area so they can bite into ice and packed snow on Willoughby Hills roads and highways. The tread on winter tires needs to clear out water, snow and slush as the tire turns so it’s ready to take another bite when it comes back in contact with the road. But summer tires can actually be dangerous because they get packed with snow, making them very slick, and your vehicle hard to control. Winter tires have a lot of thin slits in the tread called sipes which help the tire grab ice and packed snow, providing extra traction. Many new vehicles in Willoughby come with all-season tires which are great for a wide range of Willoughby weather and road conditions but don’t provide top performance in Ohio snow and ice. For example, winter tires provide 25 to 50% more traction than all-season tires. And all-season tires take up to 42% longer to stop than winter tires in slick Wickliffe conditions. For all these reasons, the tire experts at Willoughby Hills Auto Repair in Willoughby Hills recommend you put winter tires on all four wheels because it makes sense to have equal traction and handling at all four corners of your vehicle. Uneven traction could result in loss of control for Willoughby motorists. Your vehicle may be equipped with stability control, anti-lock brakes and traction control – all important safety systems for OH motorists. But in order to do their job you still need good traction in Willoughby Hills. Winter tires help you start, stop and corner when things get cold and slippery in Willoughby Hills. So when Willoughby temperatures drop below 45 degrees, be sure you have a set of four winter tires for maximum performance in snow, ice and wet Willoughby Hills roads. 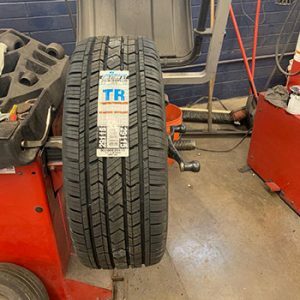 Your caring Willoughby Hills Auto Repair tire professional can help you find the right winter tire for your vehicle and driving needs in Willoughby Hills. Potholes form as pavement ages and weathers. Sooner or later, the pavement will develop cracks as it becomes more vulnerable to water. As water works its way down into the cracks and expands as it freezes, it pushes up on the pavement. The weight of cars rim bent by pot holes and trucks can break up this uneven pavement, creating a pothole. A pothole is bad news as everyone will agree, especially so if it damages your tires. The sharp impact caused by hitting a pothole can cause immediate tire or wheel failure. It is also possible that internal damage could eventually lead to tire failure weeks or months later. Potholes will be there whether we like it or not, it is up to us to take the necessary measures to minimize their impact. Begin by keeping your tires well-inflated. Your car will be able to absorb the impacts caused by the potholes if there’s enough air pressure in the tires. See if the wheels of your car are properly aligned, check if the wear on your tire treads are even. Hitting potholes can affect your vehicle’s alignment. If you feel your car “pulling” to one side during driving, that’s a sign that you could have a problem. Bring your car to an auto repair shop periodically so they can check if your wheels need to be realigned. Refrain from slamming on your brake once you hit a pothole. Instead, try to apply brakes before hitting and release them just prior to impact. Abruptly stepping on the brakes when you feel the impact will jar your wheel assembly even more. You would be able to minimize the damage on your tires if you don’t hit the pothole squarely, instead let the downward motion carry the wheels through it. You should pay as much attention to your vehicle as to anything else that is important to you, make the maintenance and care of you car one of your priorities. Properly maintaining your tires includes proper rotation, inflation, repair and replacement. Remember to check your tire pressure at least once a month and be sure to rotate your tires according to recommendations in your owner’s manual. Save yourself the unnecessary expense and possible dangers brought about by these horrible potholes, take care of your wheels properly. You can make your sedan tires last longer with regular tire rotation and wheel balancing. Let’s start with tire rotation. In normal driving around Northeast Ohio, your front tires wear more on the shoulders because they handle much of the cornering forces in turns. Front-wheel drive vehicles have even more force on the front tires. For most vehicles in the Cleveland area, tires are rotated front to back. Some manufacturers recommend a cross rotational pattern that includes the spare tire, and some high-performance vehicles have different size tires on the front and rear and may even have uni-directional tires that can only be on the left or the right side of the vehicle. Your Willoughby Hills OH service advisor at Willoughby Hills Auto Repair can help you sort that out and will perform the right tire rotation for your vehicle.